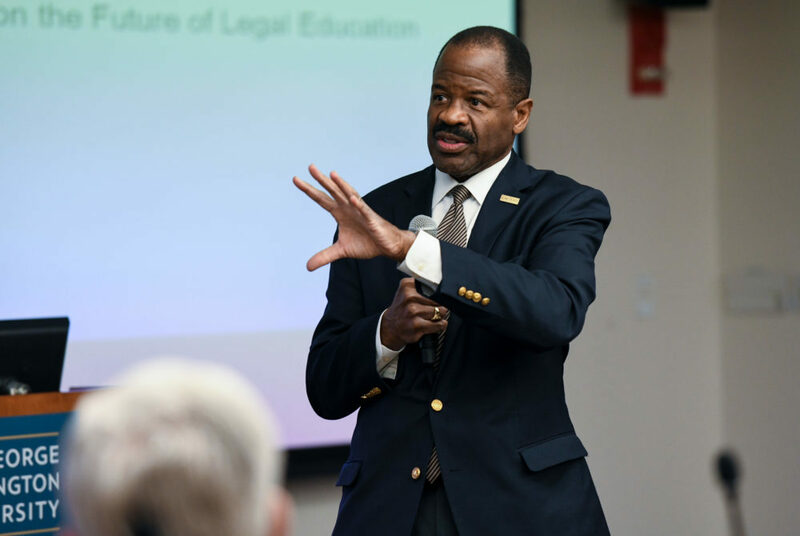 Law School Dean Blake Morant spoke about the law school's efforts to remain a top-tier school at a Faculty Senate meeting Friday. The law school deliberately enrolled a smaller class this fall in an effort to keep the GPA and standardized test scores of its incoming class in the top-tier of law schools nationwide, the school’s dean told the Faculty Senate Friday. Dean Blake Morant told faculty that the law school brought in about 9 percent fewer new students this fall as compared to years past. 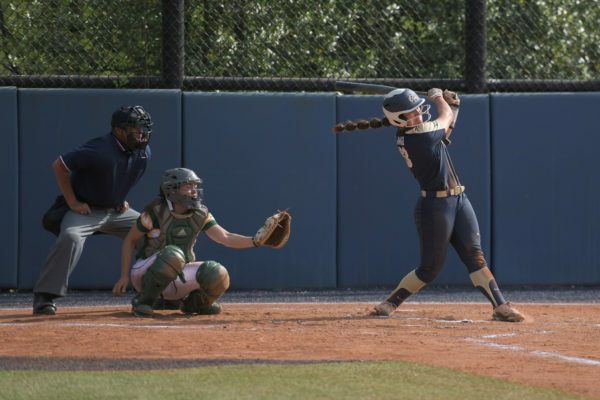 In total the school’s enrollment dropped by about 250 students compared to last fall, according to statistics from the Office of Institutional Research and Planning. Morant said enrolling a smaller class size was necessary to stop the school’s slide in U.S. News and World Report rankings, which heavily weigh attributes like GPA and Law School Admissions Test scores. The law school is in a six-way tie for 30th in the latest U.S. News and World Report rankings, down five spots from they previous year. Morant said the rankings are typically the only way top law schools are able to compare themselves to peers and a school’s ranking is critical to its recruitment of prospective students. He said he is also examining the school’s bar passage rate, reputation, selectively in admissions and faculty resources, all of which factor into the rankings. But because the law school is dependent on tuition revenue to fund much of its budget, Morant said a smaller incoming class meant that the school had to cut some non-essential programs and essentially freeze new staff hiring. 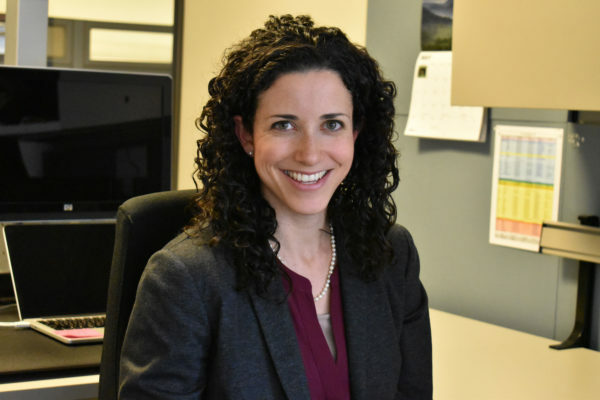 Morant said overall the law school has been able to weather a waning interest in law school education nationwide, still attracting among the most applications of any law school in the country. He said the school has been able to remain competitive in the changing market largely because of its location, as many law school applicants are attracted to the government-saturated environment of D.C. The law school announced earlier this week that it would accept the Graduate Record Exam in addition to the LSAT for applicants entering the school in fall 2018. Morant said Friday that the American Bar Association has given law schools the green light to accept GRE scores on a voluntary basis. Morant said professional development had also been a major priority of his deanship and he said the school had started an alumni mentoring program and a conversational series with prominent alumni to give law students a sense of the professional skills required to succeed in the industry. He added that the school was also looking to remain competitive through offering programs that reflected the changing landscape of legal education, including online courses as well as a master’s program for students not interested in a full law degree, but who still wanted to understand how the legal profession operates.